We're excited to share exciting updates to the Marketing module on the Attendease platform. 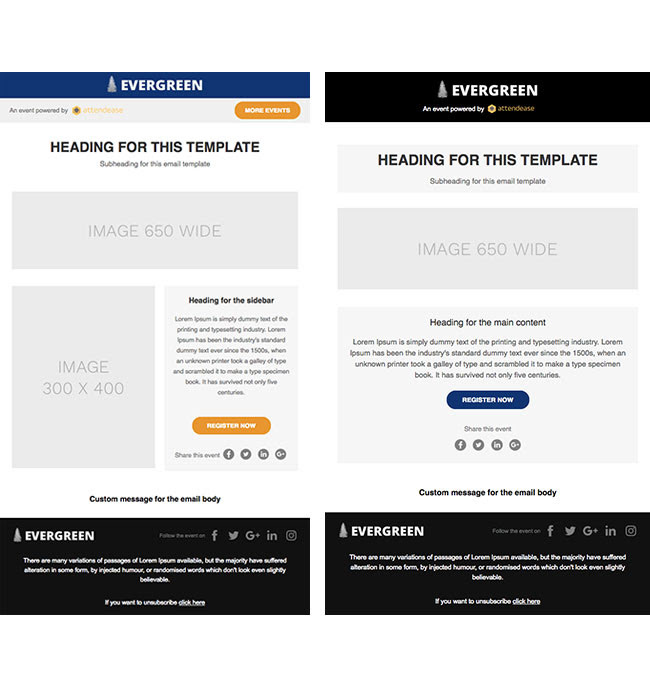 This includes an easier way to add analytics and advertising conversion tracking snippets, and a more robust email platform to manage your event email marketing campaigns. Keep reading to learn the details! Capture useful metrics about visitors to your event website by using tracking tools. 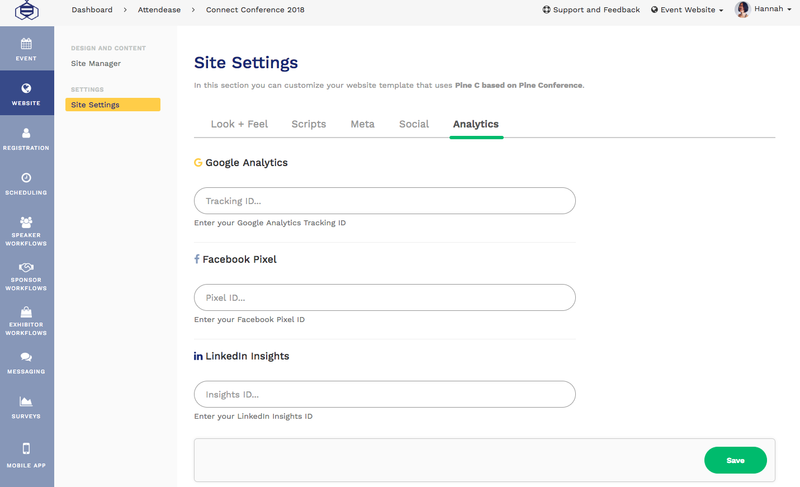 Adding tools such as Google Analytics, Facebook Pixel, or LinkedIn Insights to your event website is now easier than ever. If you have already added these in the Custom Head Script section of your event website, you can continue using your existing implementation or remove it and enter the ID into the corresponding field to replace the code. Introducing more settings that allow you to customize the look and feel of the Advanced Sessions Schedule! You now have greater control over the colours of this section, alignment of text and sessions, and more! A versatile block used for a multitude of purposes needs to be flexible in order to suit everyone's needs and different events. That's why we're excited to announce the latest update to the Card Row block. You are now able to choose the position of the text on the card, make edits to the look and feel of the image with Image Presets, and more! We hope you are as excited as we are for these new features! Stay tuned for future enhancements as we continue to improve our platform capabilities. Want to try Attendease and see it for yourself? Book a demo today!